Yes, you can apply cold water to babies. This is done in the tradition of European Natural Medicine to raise strong, robust children. When my son was four months old, I started him. I filled his little pink tub with cold water, cradled the naked baby in my hands and very quickly dunked him in—but not his head. It took a second or so. For babies, the head always stays outside the water. He took a deep gasp but never cried. He was so astonished about what had happened and so busy with thinking that he never had time to protest. Can’t remember when I stopped it – but certainly I would not force a protesting toddler under cold water. Now that our son is a young man, he follows the family tradition and ends each warm shower with a cold one, and he has become a healthy outdoorsman. Tell us how your baby likes it! Check out this week’s excellent Grand Rounds roundup of medical/health posts in the blogosphere, hosted by David Williams of the Health Business Blog. I’m happy that my post about “The Unhealthy Health Care System” was included. Topics of other posts include the complexity of doctor-patient relationships, patient tales, wellness, health technology and health policy. How progressive of the US military to use yoga as a treatment for soldiers returning from Iraq with post-traumatic stress disorder. As reported in the May 6 Washington Post, the Specialized Care Program at Walter Reed Army Medical Center focuses on helping service members returning from Iraq and Afghanistan cope with the flashbacks and nightmares typical of post-traumatic stress disorder, which affects 20 percent of the approximately 1.6 million U.S. military personnel who have served in Iraq or Afghanistan, according to a Rand study released last month. The program uses a guided meditation technique called yoga nidra, which I know from personal experience to create a profound state of relaxation. We can exercise, watch what we eat, take cold showers, practice yoga and Tai chi, meditate for peace of mind. But even if we are doing everything we can to “own our health,” we’re still going to need a doctor someday. Good luck finding one. The Massachusetts Medical Society’s 2007 Physician Workforce Study found physician shortages in primary care (family practice and internal medicine), psychiatry, and vascular surgery for the second consecutive year. Anesthesiology, cardiology, gastroenterology, and neurosurgery remain in short supply, while urology appears on the list for the first time. In public opinion surveys conducted as part of the study, the Society also found that access to primary care physicians, as well as some specialists, remains strained, and waiting times for appointments are increasing. The American College of Physicians recently warned that “primary care, the backbone of the nation’s health care system, is at grave risk of collapse.” Fewer internal medicine residency graduates are choosing to become primary care physicians (PCPs)—18 percent in 2006, down from 50 percent in 2000—and existing PCPs are unhappy in their jobs, with many choosing to leave the field. What this means is that it is harder and harder to find a primary care physician, and, when you do find one, it is likely that he or she is overburdened with a large patient panel and hours of bureaucratic paperwork. 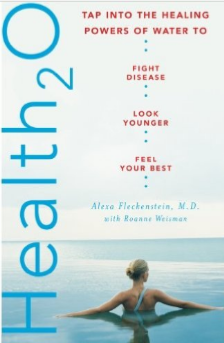 But “merely” talking is the only way to get to know us patients; the only way to understand and help us manage the stress in our lives that may be causing physical or mental illness; the only way to educate and encourage us to make healthy lifestyle choices, to take responsibility for our health. And “owning our health” may help to make those expensive tests unnecessary or avoid even more expensive hospitalization and surgery. iParenting Media Award just in time for Mother’s Day! 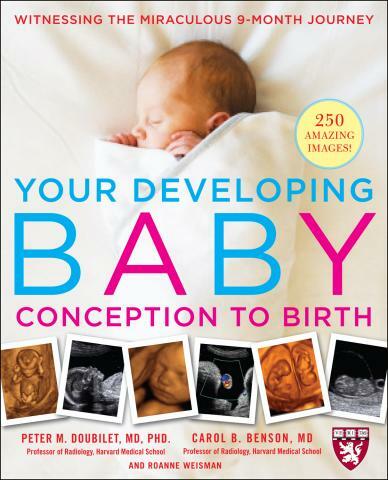 iParenting Media has just announced that Your Developing Baby has won a 2008 “Excellent Product” award. This visual tour of pregnancy through the wonders of ultrasound uses both 2-D and 3-D images, along with explanatory diagrams drawn by Peter Doubilet, MD, PhD, one of the authors. It was a joy to explore “the world within” with Dr. Doubilet and Dr. Benson, and a privilege to help them share their knowledge with others. Cold Showers: What’s the Evidence? (1)Summarized in Bühring, M., Naturheilkunde: Grundlagen, Anwendungen, Ziele (Natural Medicine: Basic Application and Goals), Munich, Verlag CH Beck, 1997. (2)Haas, S.S., Hydrotherapy and more: Adapting Kneipp’s Natural Medicine to the U.S., Complementary Medicine for the Physician, 2000; 5(8):57,61-64. (3)Kuehn, G., Sequential hydrotherapy improves the immune response of cancer patients. In: Mizrahi A, et al., (eds.) Potentiating Health and the Crisis of the Immune System: Integrative Approaches in the Prevention and Treatment of Modern Diseases. New York: Plenum, 1997. (4)Kakigi R., et al. Pain relief by various kinds of interference stimulation applied to the peripheral skin in humans: pain-related brain potentials following CO2 laser stimulation. J peripher Nerv Syst 1996;1:189-198. (5)Elmstahl, S. et al., Hydrotherapy of patients with intermittent cluadication: a novel approach to improve systolic ankle pressure and reduce symptoms. Int Angiol. 1995;14:389-394. (6) Siems, W.G., et al., Uric acid and glutatione levels during short-term whole body cold exposure. Free Radic Biol Med. 1994;16:299-305. Research is increasingly demonstrating the effectiveness of certain complementary/alternative treatments such as acupuncture, massage, tai chi, yoga, meditation and biofeedback for chronic pain, reduced mobility and other ailments. Why then are more insurance companies not paying for them? I think more of us need to “vote with our feet” by demanding coverage for proven alternative treatments and switching to insurance companies that pay for them. We and the health care system will all benefit. As one study found, support for lifestyle changes that prevent disease is far cheaper than hospitalization and expensive pills! This is the title of an article I wrote for the current (May) issue of Prevention Magazine. It is about three women, myself included, who overcame medical catastrophes: stroke, Crohn’s disease, cancer, kidney failure. Writing these stories has convinced me yet again about the power that each of us has to “own our health.” Yes, there are times when an illness or injury is just too overwhelming, and it may be right for the person to let go. I have the utmost respect for people making that decision. At the same time, I always like to think of the possibilities of hope and fighting back, at least to increase our chances of recovery.